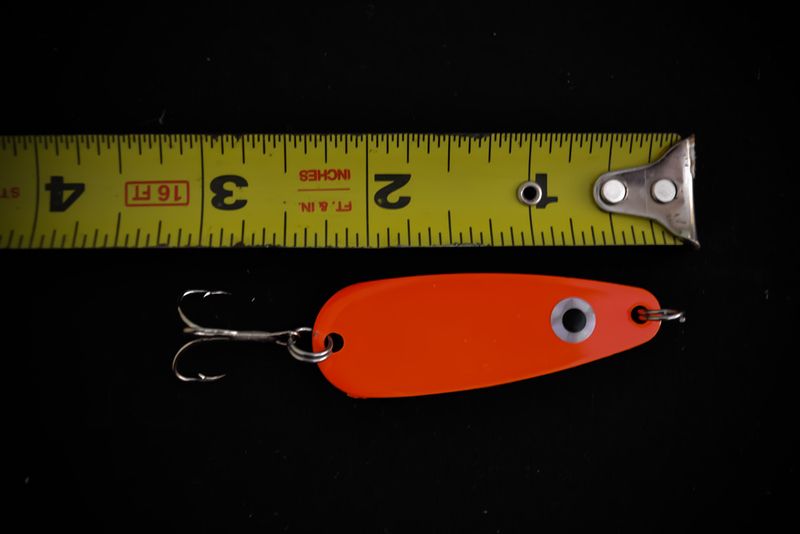 Spoon Length - 2 1/3"
Total Length (with split rings and hook) - 3 1/8"
These spoons ARE NOT heavy enough to cast. These are a true flutter spoon. These spoons are easily bent to have still have action at DEAD SLOW speeds where other spoons will not. 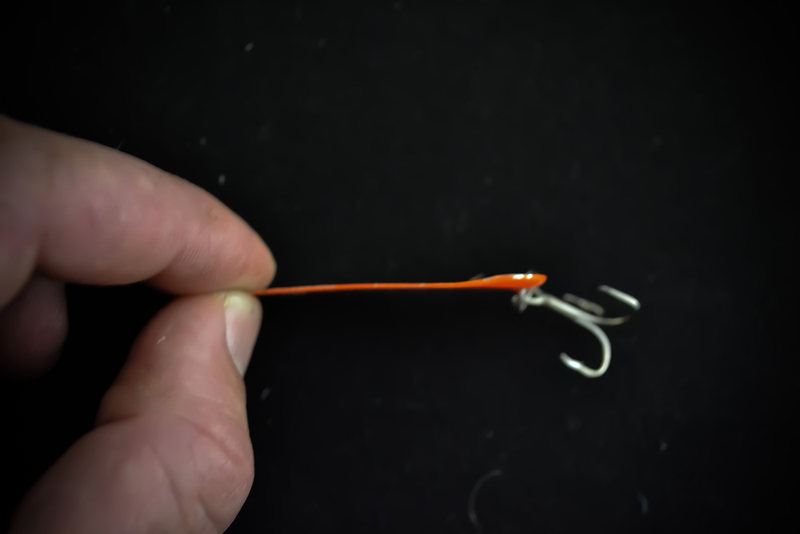 For best action tie your line directly to the front split ring, and attach a swivel to your main fishing line 2-3 above that. If you must attach a swivel to the spoon, remove the front split ring.